Ventas, Inc. (NYSE: VTR) has completed its previously announced all-cash acquisition of 29 Canadian senior living communities from Holiday Retirement, the Chicago-based real estate investment trust (REIT) announced Tuesday. The transaction closed at CAD$957 million (US$897 million). 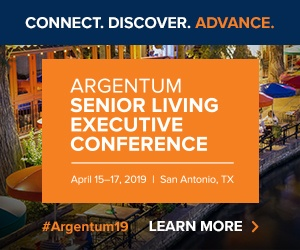 Louisville, Kentucky-based Atria Senior Living will operate the communities, raising the tally of Ventas’ properties managed by Atria to 173. The Canadian leadership group from Holiday Retirement also joined Atria to create a new Canadian management business, Atria Retirement Canada. “We are eager to start building on [Holiday’s] strong track record of performance and quality retirement living services,” says Atria Chief Executive Officer John A. Moore in a written statement, adding that the company also looks forward to growing its relationship with Ventas. The 29 private-pay properties are located in seven Canadian provinces, with the majority in Ontario and Alberta. Ventas’ latest deal follows the REIT’s $2.6 billion stock and cash acquisition of American Realty Capital Healthcare Trust, Inc. (NASDAQ: HCT), another health care REIT. The Holiday and REIT acquisitions place Ventas ahead of competitor Health Care REIT (NYSE:HCN) as the largest healthcare real estate investment trust in the country. “Ventas continues to grow strategically and accretively with the addition of these 29 apartment-like private pay independent living communities to our balanced portfolio of high-quality healthcare and seniors housing assets, and we are excited to grow with Atria north of the border,” says Ventas Chairman and Chief Executive Officer Debra A. Cafaro. The communities are 90% occupied, Cafaro says, adding that they located in markets with significant concentrations of seniors with high median household income. Ventas previously included the financial impact of the acquisition in its updated 2014 normalized funds from operations guidance range announced Aug. 11. The acquisition was funded with a previously closed Canadian-dollar denominated term loan and assumed debt. The company expects to replace its acquisition term loan with long-term debt financing as soon as practicable, Ventas says.